It′s often said that we′re our own worst critics and it′s true. Compassion Focused Therapy For Dummies offers straightforward and practical advice that helps you view yourself through a more sympathetic lens. This motivating text covers the key principles of compassion focused therapy, which guide you in caring for your wellbeing, becoming sensitive to your needs, recognising when you are distressed, and extending warmth and understanding to yourself. This transformative resource provides you with metrics that you can use to monitor your progress, including sensitivity, sympathy, empathy, and overall wellbeing. Initially developed to assist people experiencing high levels of shame and self–criticism, compassion focused therapy increases your awareness of the automatic reactions that you experience and motivates you to combat negative reactions with kindness and affection. Used on its own or in combination with other therapeutic approaches, the value of compassion focused therapy is supported by strong neuropsychological evidence. 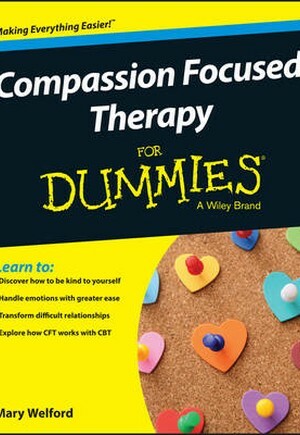 Compassion Focused Therapy For Dummies is a wonderful resource if you are seeing or thinking about seeing a therapist who utilises compassion techniques, or if you would like to leverage the principles of compassion focused therapy to manage your own wellbeing.